1. 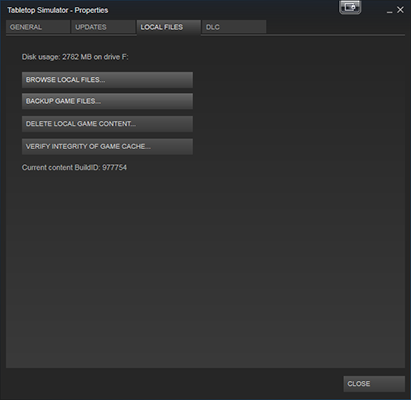 Right click on Tabletop Simulator in your Steam library and click on ‘Properties’. 2. Click on the ‘Local Files’ tab. 3. Click on ‘Browse Local Files’. 4. A window will pop up and show a bunch of files. Look for the ‘Modding’ folder and open it up. 5. Here you have 3 folders that include the Deck Builder, the Deck Templates and Dice Templates. To learn how to use the Deck Builder and Deck Templates, check out this article. To learn how to use the Dice Templates, check out this article.